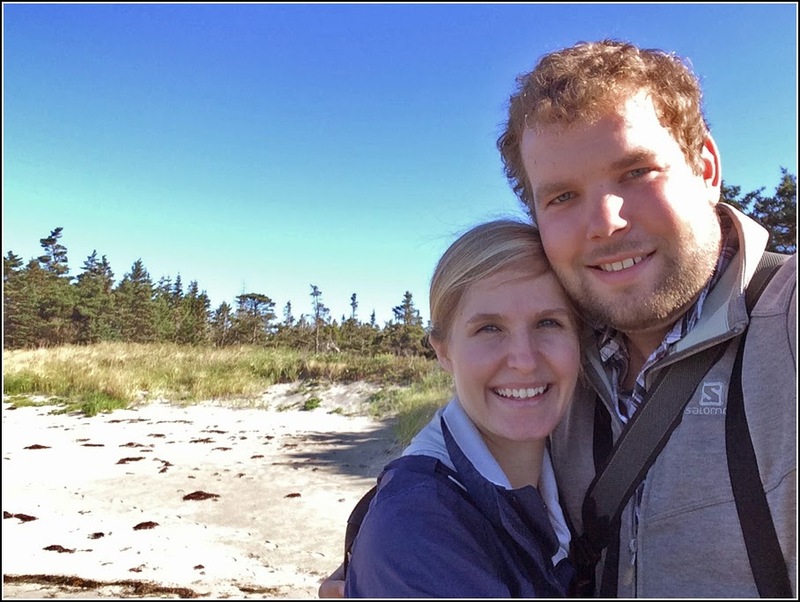 A few weeks ago when I was in Nova Scotia visiting Laura, we planned a trip to Borgles Island. 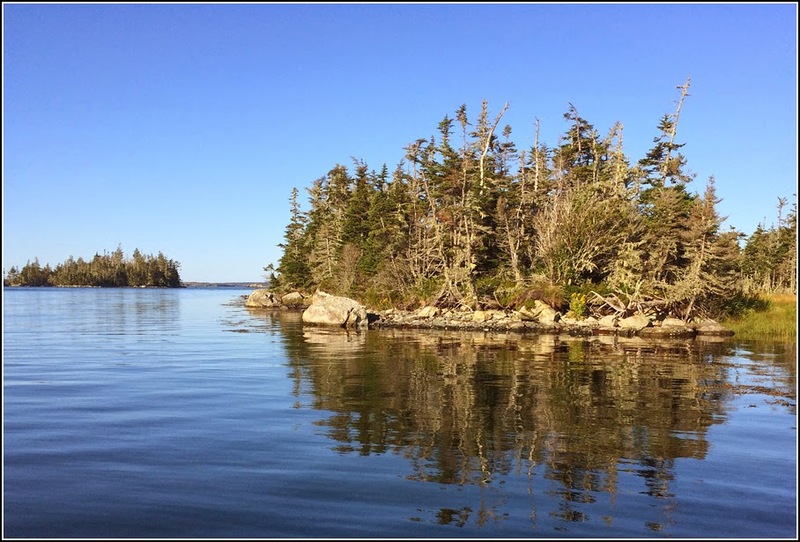 The island, located approximately 80 km east of Halifax along the Eastern Shore, has been left in its natural state. 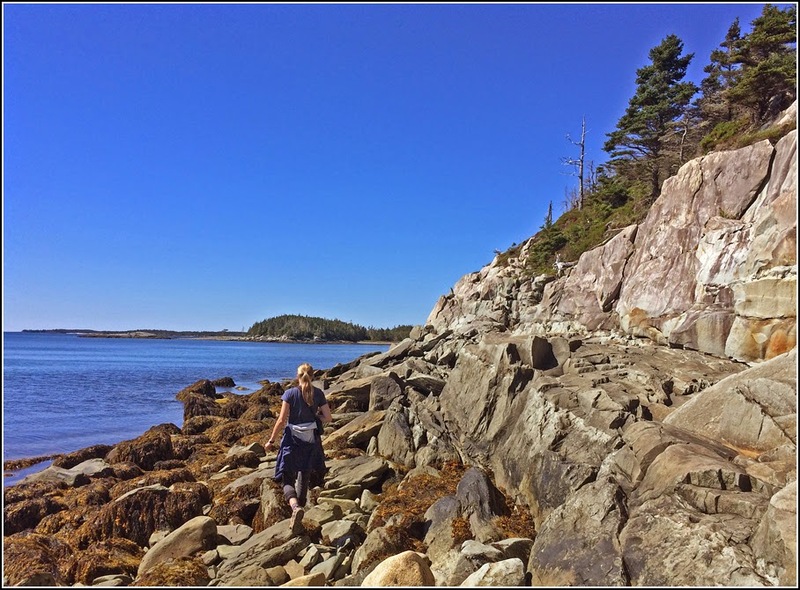 Throughout the interior of the island is old growth coastal forest, with sandy beaches and rocky cliffs surrounding its shores. 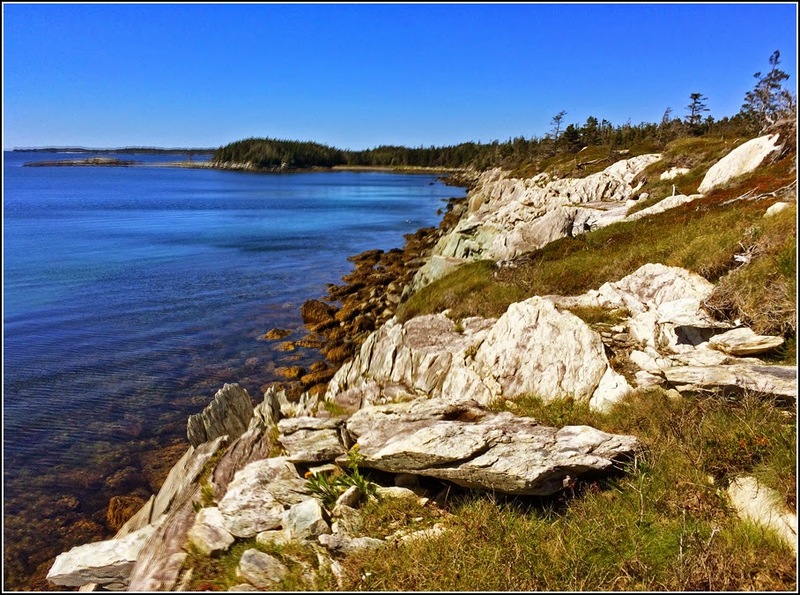 The island was privately owned and was slated for development until it was bought by the Nova Scotia Land Trust to be preserved. Laura's parents planned this getaway for us, organizing a boat to take us out there and arranging a stay at a nearby bed-and-breakfast. We planned to go September 8 as the weather conditions looked ideal. I was pretty excited to be able to check a new area, especially a coastal ecosystem that I had never really explored before. As we moved into more open waters I began scanning the horizon for birds. 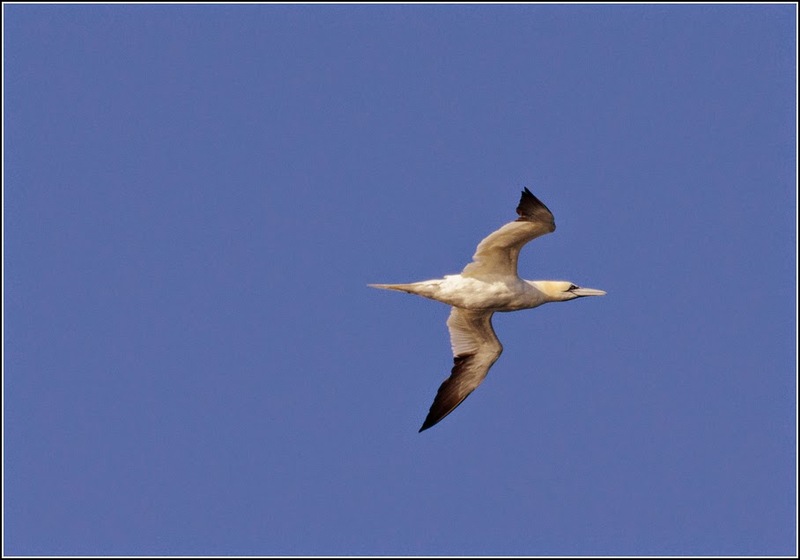 We weren't quite on the open ocean, but some Northern Gannets were flying by in the distance. The odd one came close enough for a distant photo. I always enjoy any opportunity to see these big seabirds, as these September trips to Nova Scotia are about the only time I see them. I've only seen two in Ontario. 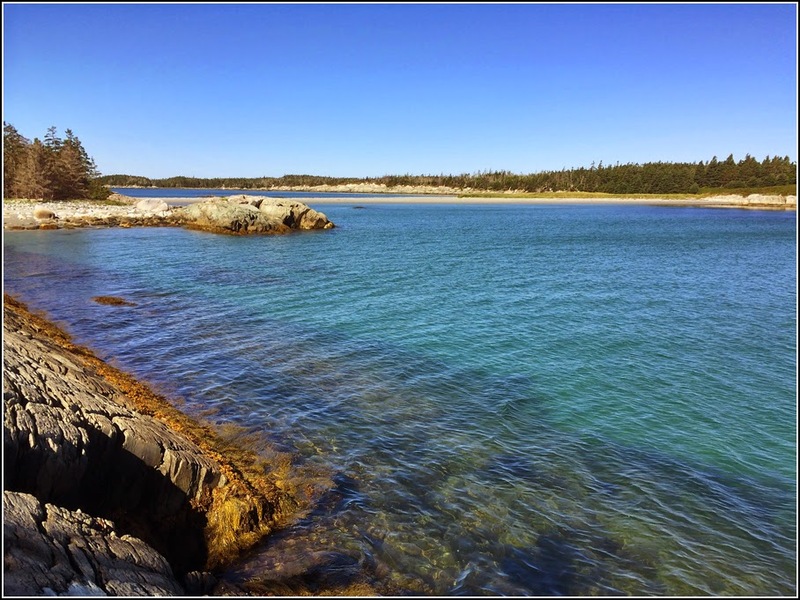 Black Guillemots were the only alcid in these shallow waters between the barrier islands. 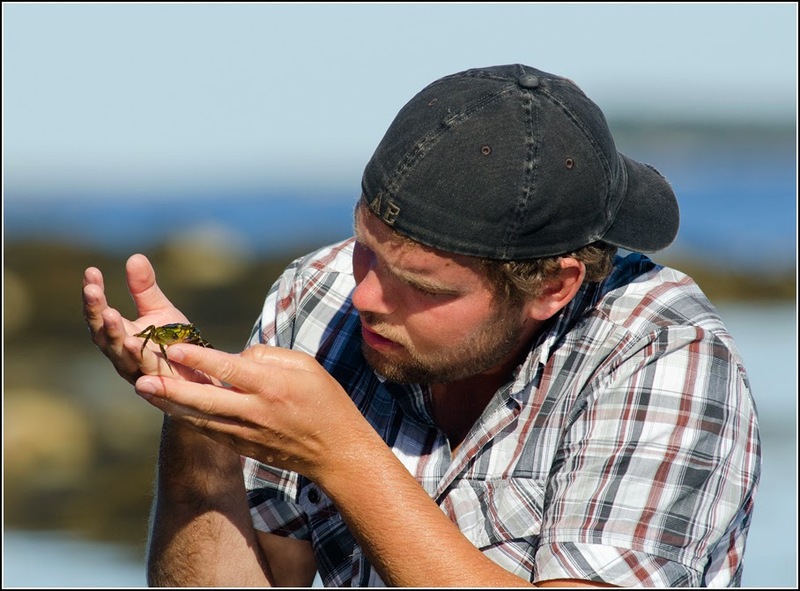 I would have to go further offshore, or towards specific colonies, to see the other alcid species. 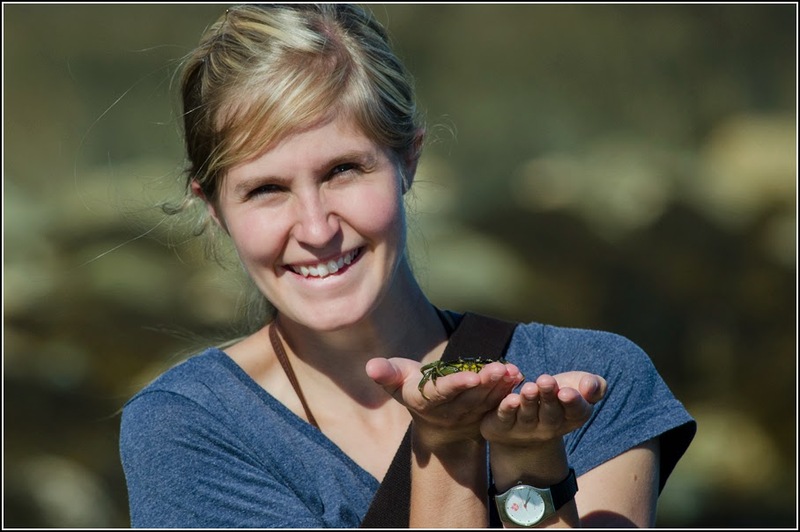 A pretty cool opportunity to study another species that is rarely seen in Ontario. 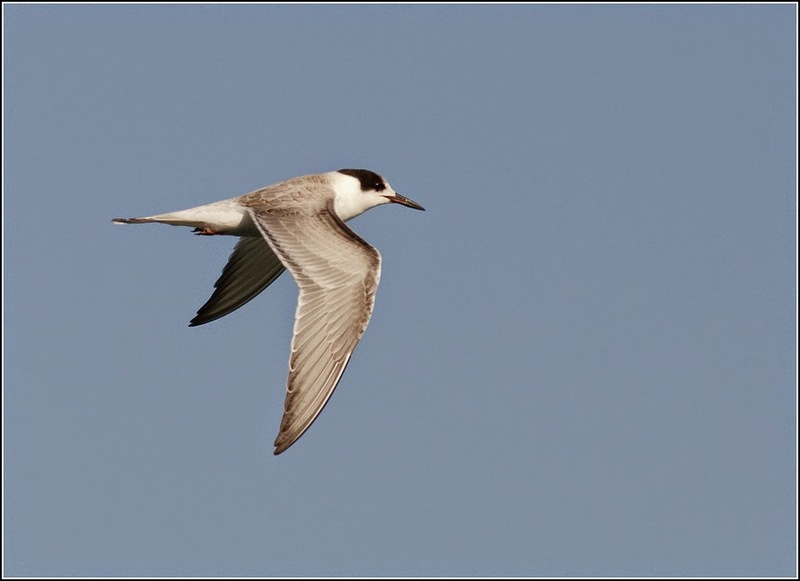 As we approached Borgle's Island, terns began flying by, some stopping to plunge dive. I was surprised to see an Arctic Tern with the group. Usually by this time Arctic Terns are well offshore, so it must have been a late straggler. The only terns close enough to photograph however were a few young Common Terns. 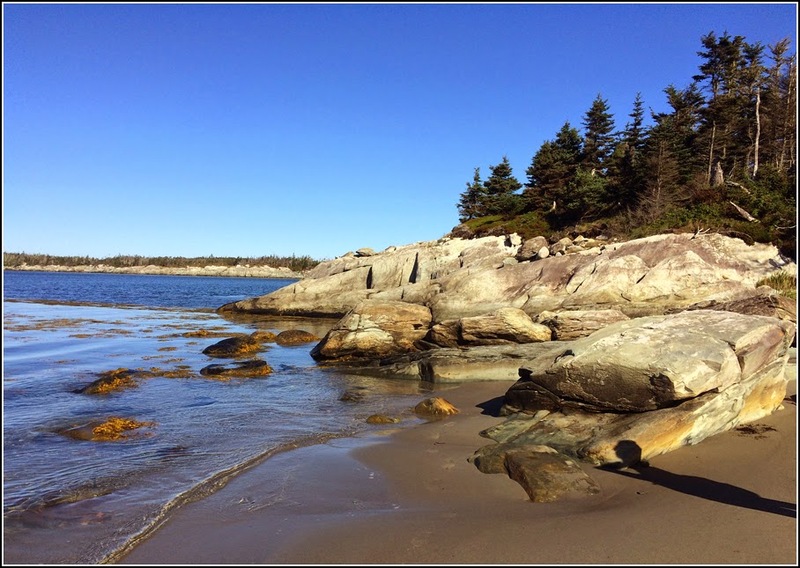 We were dropped off on a sandy beach connecting the ~180 hectare north end to the ~30 hectare south end. It looked like we would be the only people to visit the island for the day. We put down our backpacks and decided to first explore the interior of the south end. The forest was composed predominately of spruce. The trees were old and knarled, and years of deadfall littered the understorey. It really had a strong boreal feel to it, and before long the birdlife supported that view. I heard a few Boreal Chickadees and tried to pish them in in an attempt to see this somewhat shy species. A Red-breasted Nuthatch immediately responded and perched in a branch about a meter from our faces. Eventually Laura did get her first good looks at a Boreal Chickadee as some came closer a minute later. 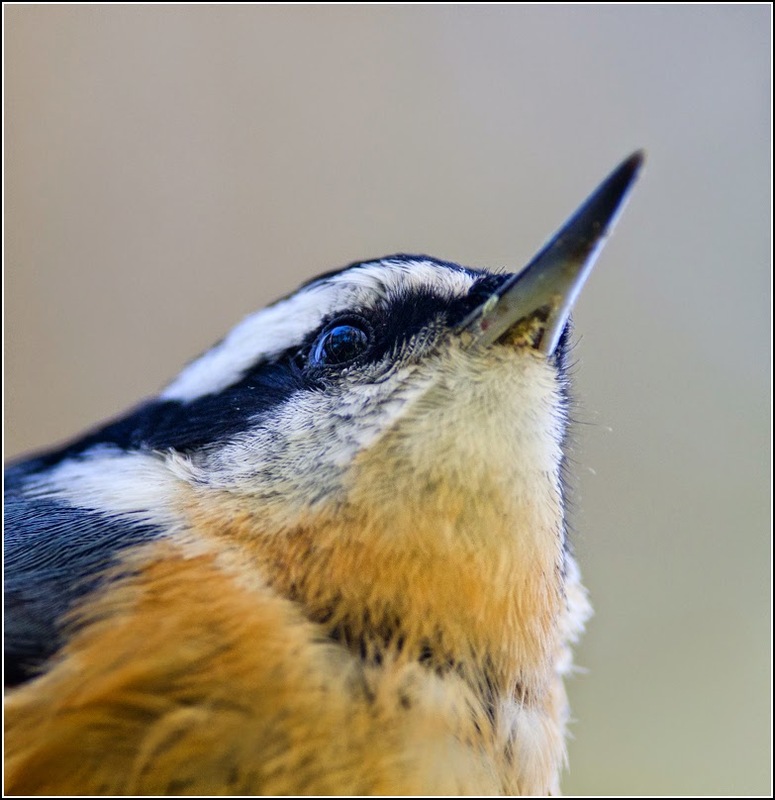 The nuthatch was still staring at us and was so close that I had to back up a step to get it in focus. 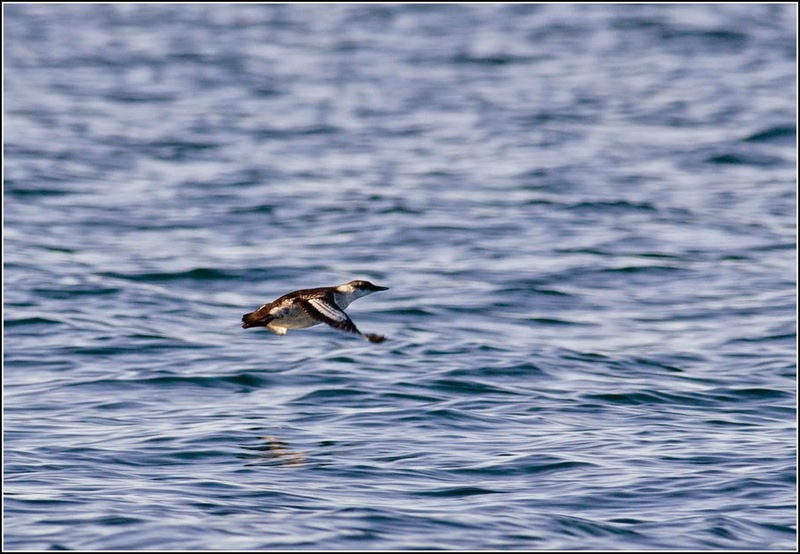 We headed to the shoreline and my bird list for the day -. Dark-eyed Junco, Golden-crowned Kinglet, Yellow-rumped Warbler, Hermit Thrush. Several raptors flew over including a Northern Harrier, American Kestrel and 2 Merlins. Here are a few photos of the shoreline. We returned to the beach area to have lunch and relax for a bit. 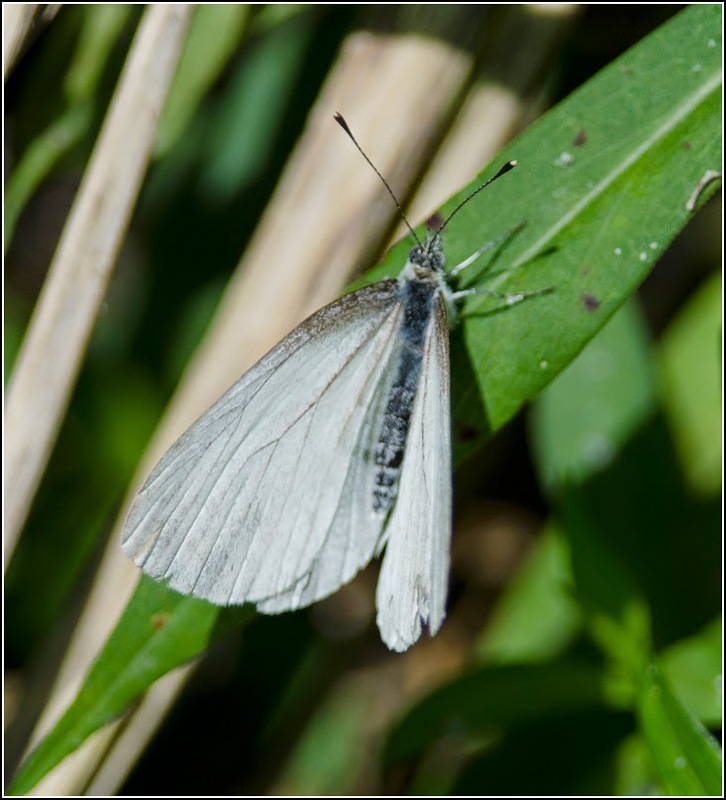 I couldn't help but try my hand at photographing the abundant Mustard Whites on the island. Several shorebirds flew by, but not the large numbers that I was hoping for. My totals for the island were 7 Semipalmated Plovers, 1 Greater Yellowlegs, 2 Sanderling, and 1 Spotted Sandpiper. 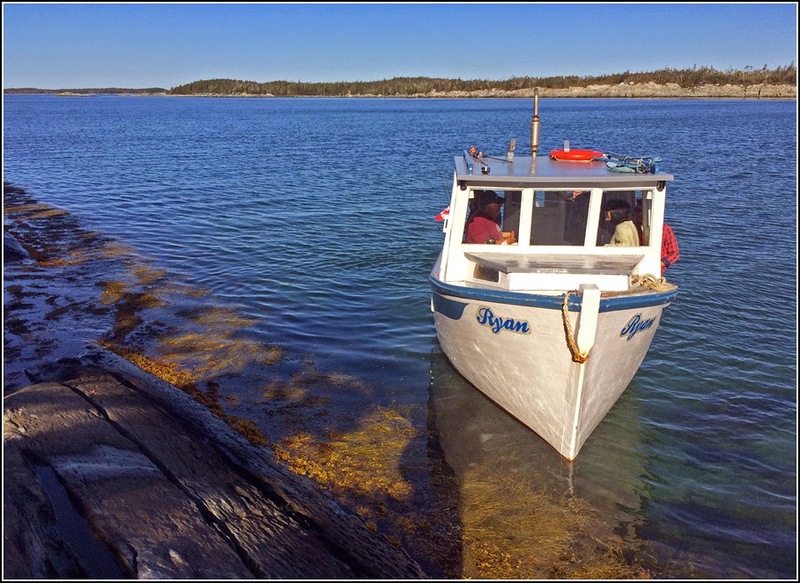 By early afternoon we set off to the north, exploring westward around the large part of the island. Here the beach gave way to rock faces with loose rocks at the base, making hiking a little more difficult. The view from on top was beautiful. 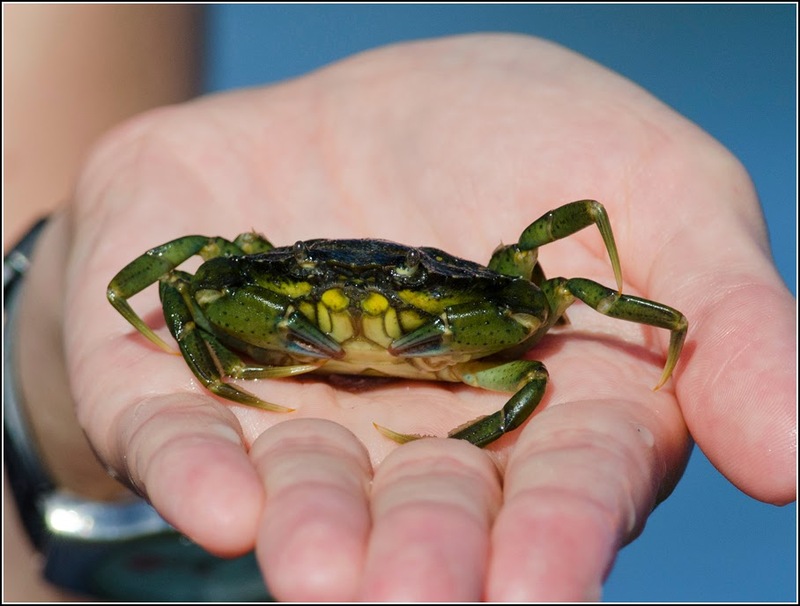 We played around with at least three different crab species among a bunch of other sealife. I spotted several flatfish which I think are flounders. This was the first time I had seen one in the wild - pretty bizarre fish! In their larval phase they have one eye on each side of their head, but as they mature one eye shifts to the other side of their head and they swim on their side, much like a ray. 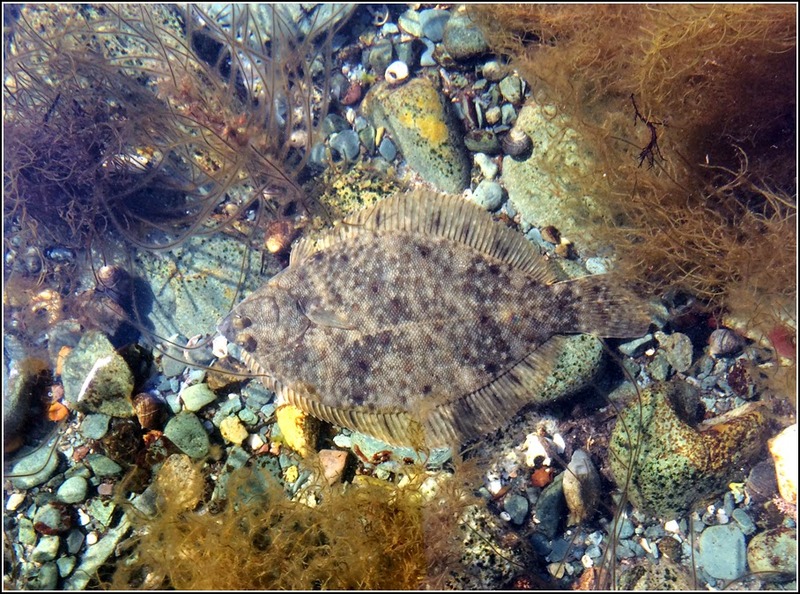 Some families of flatfish are called left-eye or right-eye flounders based on what side of their body their eyes are on. Pretty cool fish! Great pictures! Looks like an interesting place. 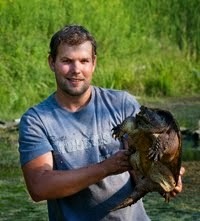 Great blog and interesting post on Borgles Island. I see your name on eBird once in a while. 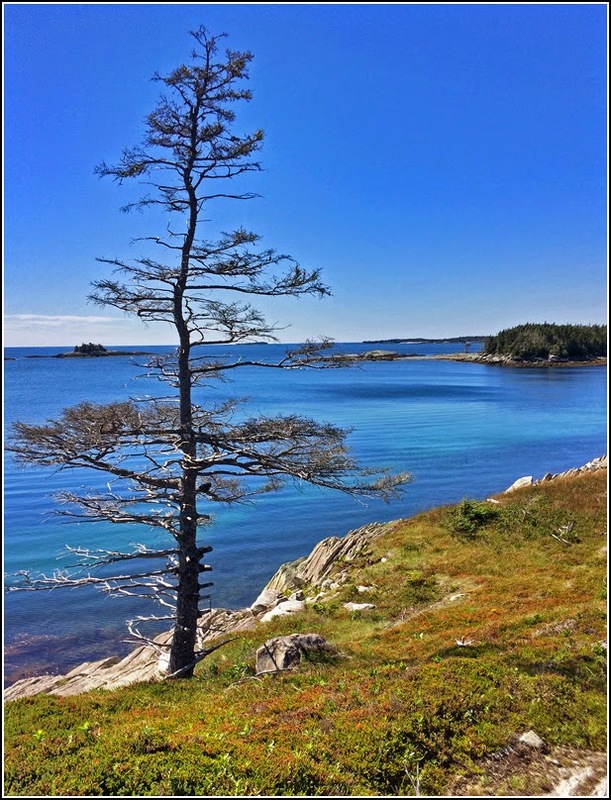 I live in Pubnico in SW Nova Scotia and have visited most islands in the area. Check out my blog. Thanks Alix! I've seen your name as well on the NS-RBA as well - looks like you have been having a great autumn of birding so far. 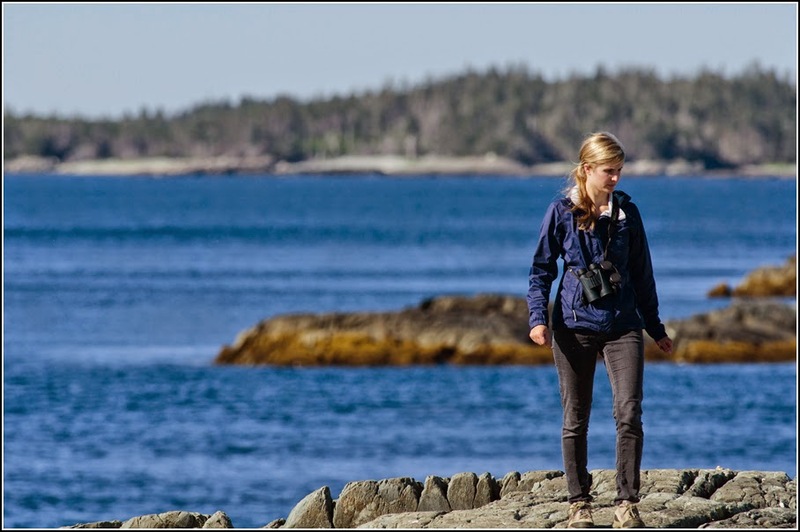 Hope to make it out to your neck of the woods sometime for some birding...maybe next September!